Killswitch Engage is an American metalcore band from Westfield, Massachusetts, formed in 1999 after the disbanding of Overcast and Aftershock. 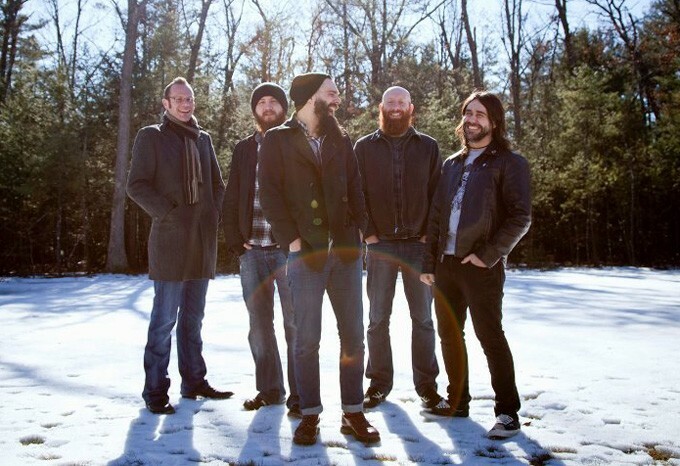 Killswitch Engage's current lineup consists of vocalist Jesse Leach, bassist Mike D'Antonio, guitarists Joel Stroetzel and Adam Dutkiewicz, and drummer Justin Foley. The band has released five studio albums and one DVD. Killswitch Engage rose to fame with its 2004 release The End of Heartache, which peaked at number 21 on the Billboard 200, and was certified gold by the RIAA in December 2007 for over 500,000 shipments in the United States. The title track, "The End of Heartache", was nominated for a Grammy Award in 2005 for Best Metal Performance, and a live DVD titled (Set This) World Ablaze was released in 2005. Killswitch Engage has performed at festivals such as Wacken Open Air, Reading and Leeds Festivals, Ozzfest, Download Festival, Rock on the Range, Rock Am Ring, Mayhem Festival, Pointfest, and the Australian Soundwave Festival. The band has sold over four million records in the US and has been widely referred to as "one of the founders of metalcore" and one of the notable bands for New Wave of American Heavy Metal.